It’s that time of year again….the best time of year. And I’m not talking about Christmas, although there is something magical in the air when the U.S. Open starts in New York City. On the heels of the U.S. Open Series and the Connecticut Open in New Haven, the best tennis players in the world, along with thousands of fans, flood the streets of New York for two weeks of great tennis. So, if you, like thousands of others, are coming into town for Labor Day weekend for a day at the Open in Flushing Meadows, then you might want to start thinking about where you are going to park. Some of PJ’s best deals are located in the Upper West Side and Upper East Side. In fact, the 90th Street location in the Upper East Side is only $20 per 24 hours on the weekends ($25 per 24 hours during the week), or you can park your car there for the price of $10 for up to 12 hours. Beat that. Seriously, I challenge you. Now, please don’t be confused: this offer is not for parking at the Billie Jean King National Tennis Center, as that parking is operated by the USTA. 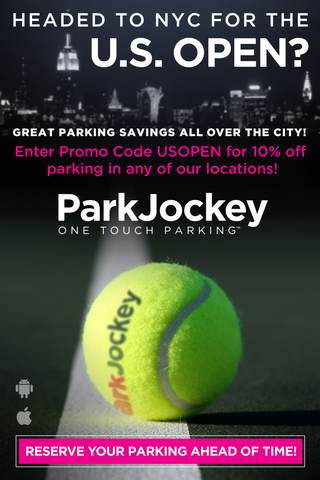 Instead, this offer enables you to book your parking nearly anywhere in Manhattan with ParkJockey, reserving your spot, thus making sure your spot is safe and secure whist enjoying the savings of 10% off and whilst being in town to enjoy the US Open. FYI, for a limited time, for every 10 bookings through ParkJockey in NYC, you can enjoy the 11th one for free. In any case, enjoy the Open, my friends. Book ahead and leave your parking worries at home so that you can enjoy a day in the sun at Flushing Meadows. Oh, and come on Sloane Stephens! 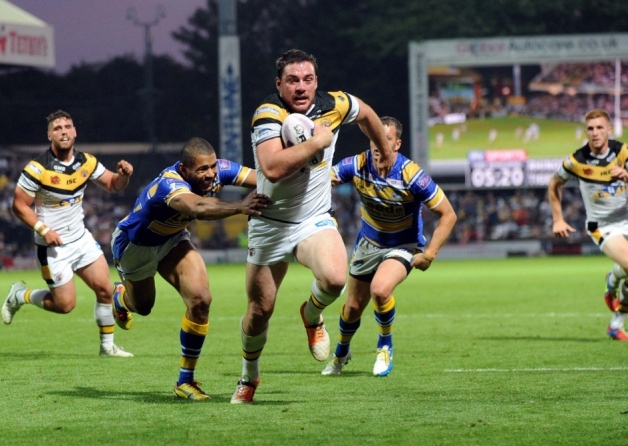 Gotta go…the matches are about to start!! 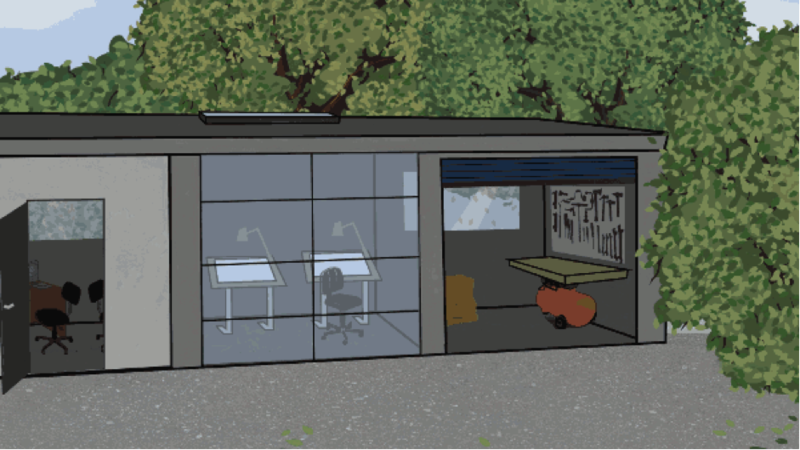 This entry was posted in New York and tagged new york city, NYC, nycparking, tennis, us open, us open 2014 on August 23, 2014 by ParkJockey Team. The Chicago Air and Water Show is an annual air show held at the shores of Lake Michigan presented by Shell Oil Products U.S and the City of Chicago. The show began in 1959 and is now Chicago’s second biggest festival with over two million viewers. The show is also the largest and oldest free admission air and water exhibition in the United States. This year the show will take place August 16th-17th from 10am-3pm each day with North Avenue Beach at the center point. The air show is a free event bringing daredevil thrills with demonstrations by military and civilian aircrafts, boats, diving and parachute teams. This year’s headliners will be the U.S Navy Blue Angels, U.S Army Parachute Team Golden Knights, and the U.S Navy Leap Frogs. Herb Hunter, known as, “The Voice” of the event and a former pilot in the show will be announcing play by play during all the performances. Some of the sponsors for the show this year are Pepsi, American Airlines, Aquafina and the Chicago Tribune. The schedule and more information for the show can be found at www.chicagoairandwatershow.us. Many people camp out early to grab a spot on the beach to make sure they can view all the acts taking place. Some of the best places to watch the show are Castaways Bar and Grill at North Avenue Beach, boat rides at Navy Pier or head on up to the John Hancock Observatory. If you want to get good seats and need to find quick and easy parking, Park Jockey has many location nearby. 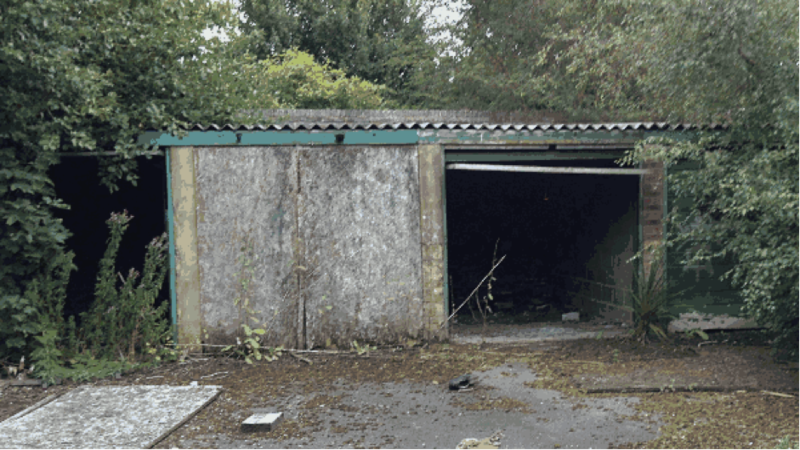 Please visit our website and reserve your’ parking now. 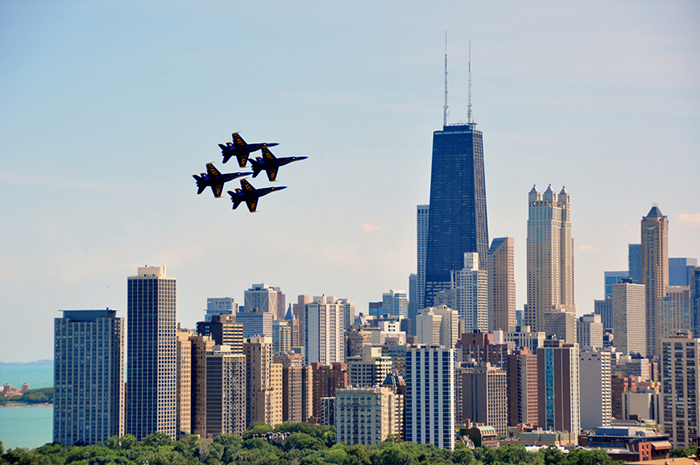 This entry was posted in Chicago, ParkJockey and tagged air and water show, Chicago, Golden Knights, Lake Michigan, North Avenue Beach, U.S Navy Blue Angels on August 15, 2014 by ParkJockey Team. 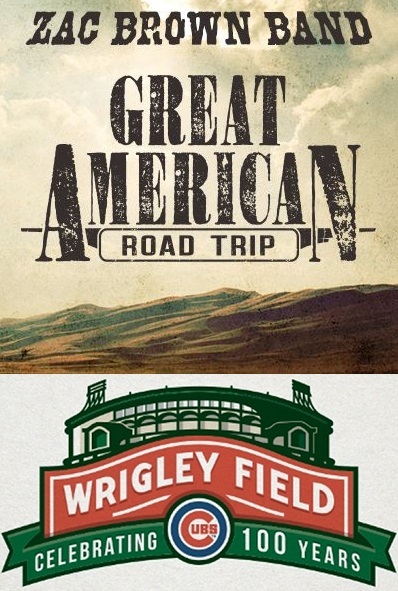 Zac Brown Band will headline their first ever Wrigley Field concert on Saturday, September 13th at the home of the Chicago Cubs. They became active in 2002 and are now three time Grammy winners and multi platinum artists. Since 2009, Zac Brown Band has earned fifty-five award nominations from numerous award shows such as American Music Awards. One of their first debut singles was “Chicken Fried” that reached number one on the Billboard country charts in 2008. As of 2014, they have several songs that have become number one hits such as, “Toes,” “Highway 20 Ride” and “Free”. 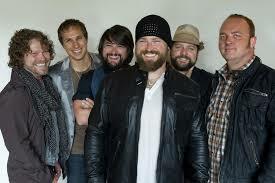 For more information regarding the Zac Brown Band you can visit their website. They are one of country’s biggest music artists and fortunately for us they chose Chicago to be one of the cities in the Great American Road Trip Tour! If you decide to buy tickets or already have purchased them your next step is to find parking. Lucky for you ParkJockey has many parking locations in the surrounding area. Book soon before spots sell out. We know Zac Brown Band is going to show Chicago an amazing performance. Hope everyone attending reserves a parking spot ahead of time because you will not want to be late to this show. Have a good time! To purchase your parking through ParkJockey click here. 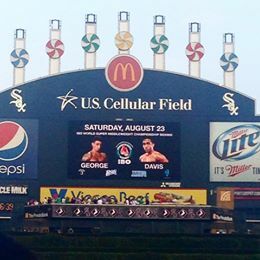 This entry was posted in Chicago, ParkJockey and tagged Concert, country music, parking, Wrigley Field, Zac Brown Band on August 8, 2014 by ParkJockey Team. 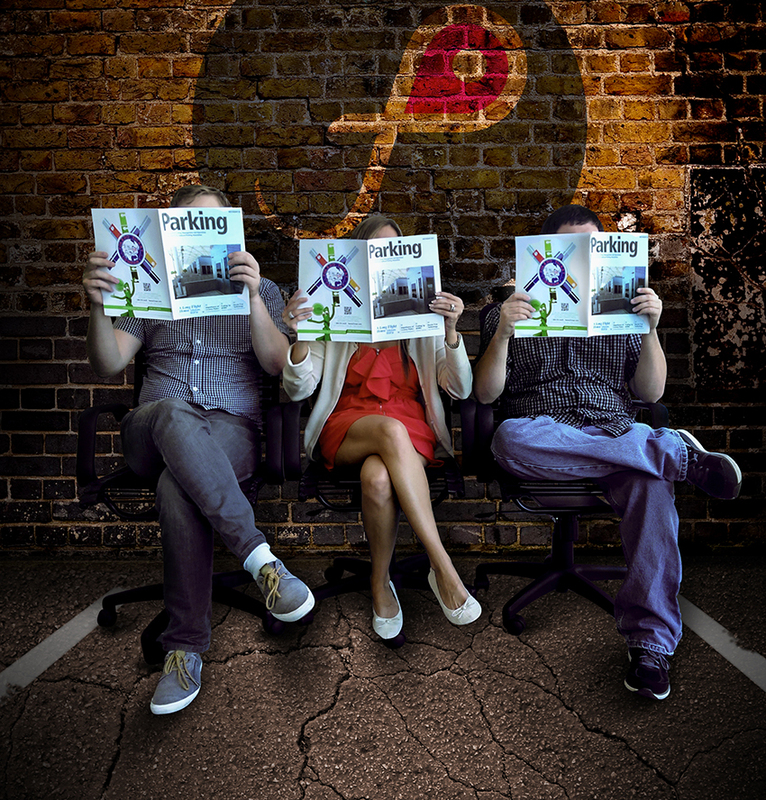 ParkJockey was recently featured in the July/August 2014 edition of Parking magazine. Listed under “Industry Newsmakers”, Parking magazine highlights the app’s “One Touch” experience, its ability to sync with personal calendars and adjust based on customer preferences. Pick up a copy today and read all about it! 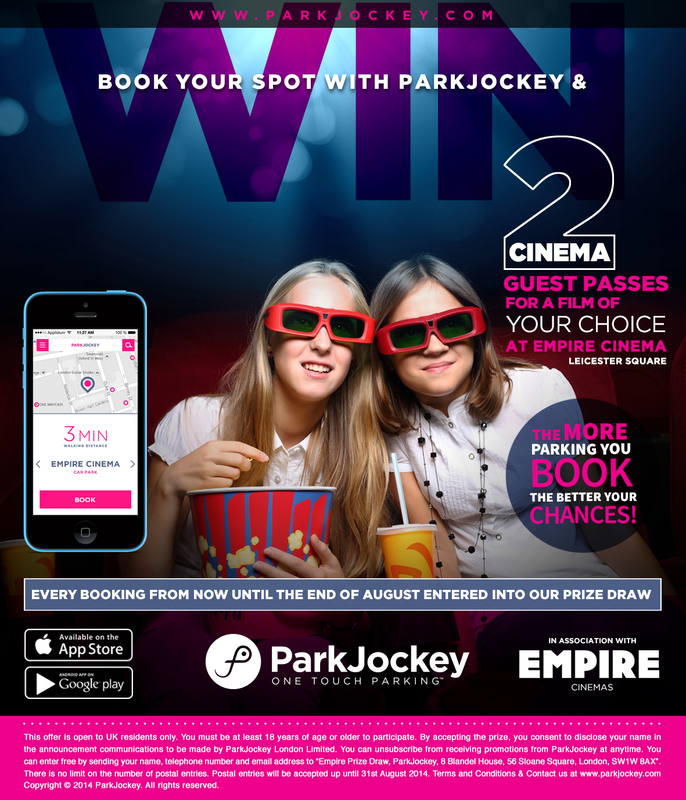 This entry was posted in Chicago, London, Miami, New York, News, ParkJockey, Press and tagged parking, parking magazine on August 1, 2014 by ParkJockey Team.